Halo Wars, which came out in 2009, was an interesting real-time strategy game based on Microsoft’s Halo series, even if it’s clear that the RTS genre has never fared well on console, as games like Starcraft 2 have only really found their footing on PC. Halo Wars was also criticized for having a short campaign and only letting gamers play as the UNSC human faction (and not as the alien Covenant), even if the game still delivered some of the best RTS action seen on consoles to date. So it is clear then that hopes are high for the game’s sequel Halo Wars 2, and judging by the gameplay video below shown at this year’s PAX West video game show (which was captured by website DualShockers), Halo Wars 2 looks likely to top its predecessor in every single respect and offer a great real-time strategy experience on new-gen consoles. 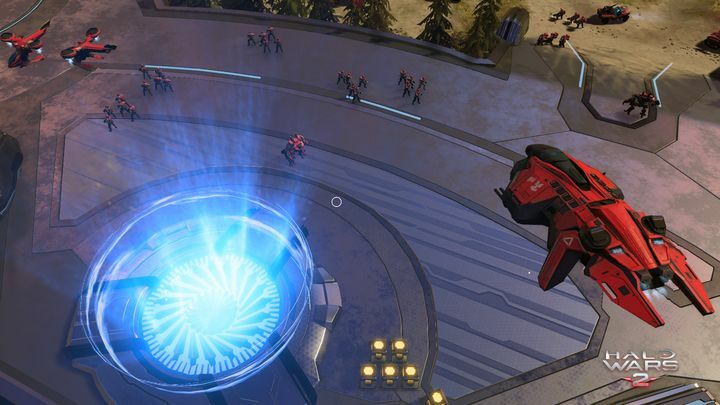 Studio Head of developer 343 Industries has teased that the game will offer “a completely new way to play a RTS”, by including a new gameplay mode which will allow for quick matches, according to GameSpot. So perhaps Halo Wars 2 will be the game that finally convinces players that real-time strategy games can also be a success on console, appealing to a more casual audience, while also pleasing die-hard fans of the genre, although we’ll have to wait until early 2017 to find out whether this sequel to Halo Wars will make good on its promises and end up being another good entry in the Halo franchise. Note: Halo Wars 2 will be released on February 21, 2017. Available on Xbox One and PC.